Here you go. I didnt think it would fit at first. Nice write up Jason. Is it finished? You guys never called me back over. Nope. The wiring harness and header still need to be installed, and I also have to fab the power steering. Maybe next time Im in Ohio it will get done. I think Ryan's dying to drive it again. I added some info on power steering for the 2.4. The SRT engine swap can be very difficult. Installing the engine is very similar to this How-to, however the wiring and engine management are the troubles with the SRT engine. The SRT engine will not run on the 1st gen PCM. You must use either the SRT-4 PCM, or run a full stand-alone engine management system. To use the SRT-4 PCM, you must incorporate the SRT engine harness to the 1st gen chassis harness or switch to an SRT chassis harness and instrument cluster. You also have to use a virgin SRT-4 PCM (one that has never seen a key signal). Look on neons.org for more info on the swap. There really is no how-to on it, but you can find more info over there. Your best bet is to do a normal 2.4 swap and use SRT-4 pistons and rods. You cannot use the SRT-4 crankshaft. The swap is pretty much what I did adding a PT Cruiser clutch and I'm pushing nearly 300hp non-turbo. Well worth time!!! Anybody running the stock 2.0 tensinor and how is that working? Does anybody have a detailed picture of the heater lines? Is anybody using a power rack with out the power steering and how bad is it? - 01+ engines will have different head ports than earlier engines, so be aware of this when selecting an engine. - Do not attempt this swap if you do not plan to use a torque wrench or have no idea what a torque wrench is. 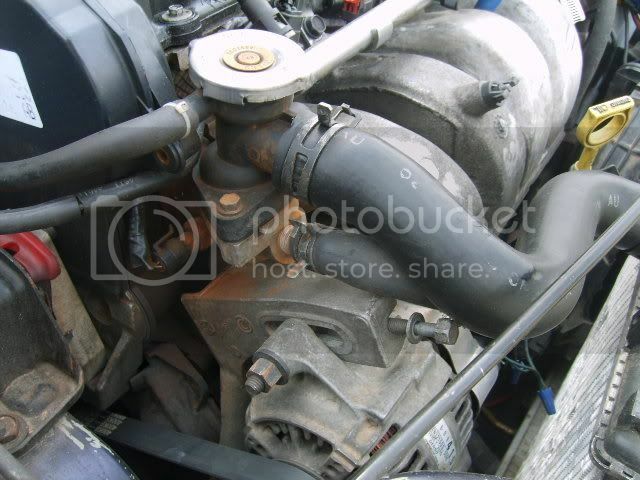 - The 2.0L DOHC head and 2.4L DOHC head are the same. - Aftermarket 2.0L cam gears will not work on a 2.4L unless they are spaced forward properly. - You can use 2.0L DOHC cams in a 2.4L to gain more power, however you must flip the intake cam magnet 90 degrees. - You cannot use an 03 or higher model year 2.4L because they use the NGC crank trigger. NGC is not compatible with the neon's PCM. 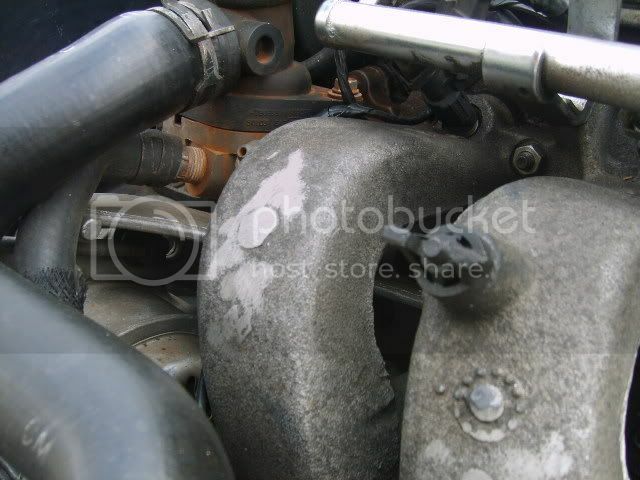 Newer 2.4 heads have an oil passage that must be blocked.